Essentials > Take the Lead! Get involved through the Center for Leadership and Service, where opportunities for leadership are provided. 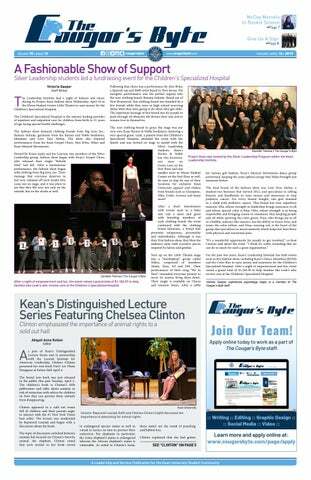 Transitioning from high school to college can seem different and challenging, but at Kean University students can expect to be pleasantly immersed into the college lifestyle. A major mode to successfully acclimate to college life is through the Center for Leadership and Service (CLS). This department commits its time to providing opportunities for leadership development training, community service involvement, service learning, campus organizational development and serves as a place where students can find information. CLS is committed to the personal development, health safety and welfare of their students. Furthermore, they are committed to the inclusion of the entire University community in all opportunities developed through the office that assist students with problem solving and acquiring leadership skills that facilitate personal and interpersonal competence, as well as understanding and appreciating diversity. All five of these programs seek to do one thing, which is to build leaders and to implement the ideals of group participation and one-on-one development. Student Group Recognition and Development is a tool that recognizes all student groups such as Greek organizations, honor societies, student governments, student clubs and organizations every semester. With a total of more than 160 student groups, it is important to see the development of each on Cougar Link. Co-curricular Transcripts Program is essential to encourage significant student involvement in the learning process by documenting academic experiences that take place outside the classroom. Students can expect to see their awards and honors, student organizations and leadership activities, educational programs and community service hours. The Cougar's Byte Newsletter is an informative source on campus that provides knowledge to its students, faculty and guests. The newsletter is comprised of students who assist with making all decisions related to its publication, including making assignments, reporting, writing, taking photographs, copy editing, designing pages and distributing the paper throughout the campus community. 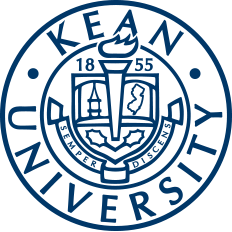 Kean University's Greek life is home to fraternities and sororities who promote and preserve the ideals of scholarship, service leadership, campus involvement and a family setting. In efforts to enhance the quality of Kean individuals, Greek life provides involvement and growth that can benefit the Kean community. Jumpstart is a national early education organization that recruits and builds the knowledge of college students in order to serve preschool children situated in low-income neighborhoods. Their curriculum assists preschool children by developing their language and literacy skills, allowing them to excel in the long-run. The Federal Work Study program is in partnership with the financial aid office in order to supply eligible students with the opportunity for service at Kean. Students who participate in this program are able to obtain a substantial amount of employment experience with a community service agency while creating an impact within their community. If you are a student wishing to get involved or become a part of a passionate team, consider the CLS in your search. For more information, email Director Scott Snowden, call (908) 737-5170 or visit Room 219 at the Miron Student Center.